Mid-December was the last session for the Rug Twining class at Fort Washakie. Only one of my students finished a rug, but the others have the technique mastered and should finish their rugs in short order. During the class and subsequent work sessions, I finished a rug and the runner, shown in the photo above. 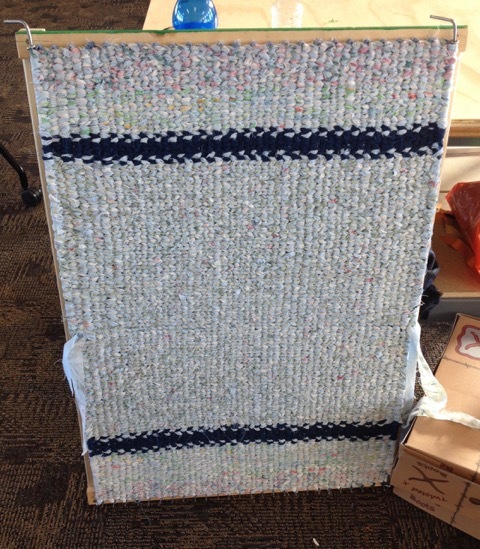 The fabric strips from the last row on the runner still need to be woven into the rug before I can call it finished. I want to commend Ingrid on her finished rug. 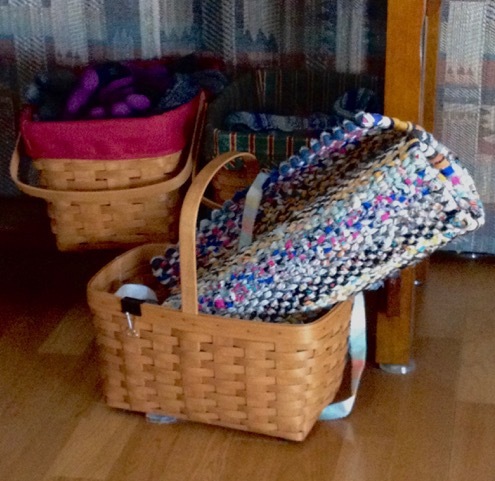 For the record, it is exceedingly difficult for a beginner to twine with the two strips the same color, and Ingrid did it beautifully on her entire rug. Well done, Ingrid! 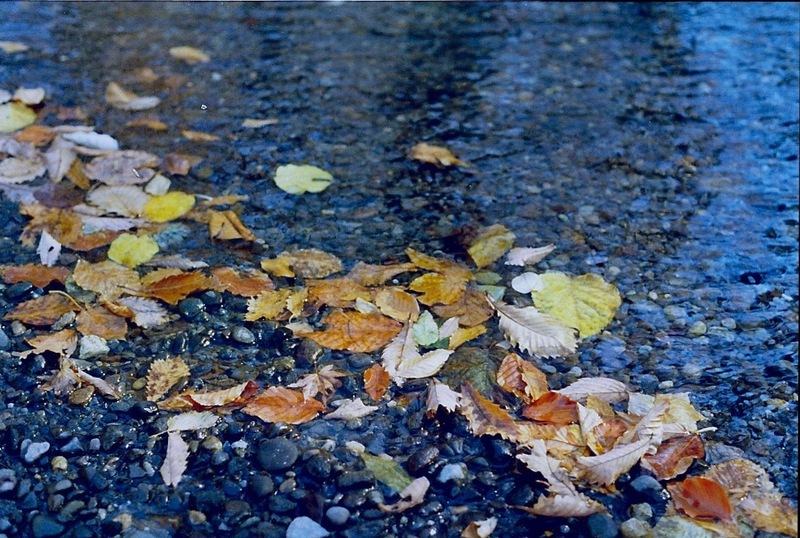 An earlier post on the rug class can be seen here. Busy in the "Sweat Shop"
Marilyn and I are always kidding about working in the "Sweat Shop" (our sewing rooms), and last week, I was busy in my Sweat Shop turning scraps into blocks or sections of blocks. 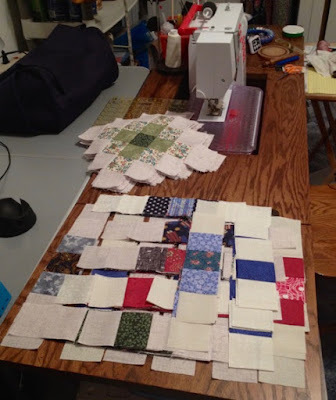 The stack of blocks by the machine are pressed and waiting to be trimmed while other sections are ready to be sewn into blocks. While the scrap bins have not been emptied, they are clearly less crowded. When I finish sewing the sections, I will have enough blocks for another Quilt of Valor, undoubtedly the first for 2016. 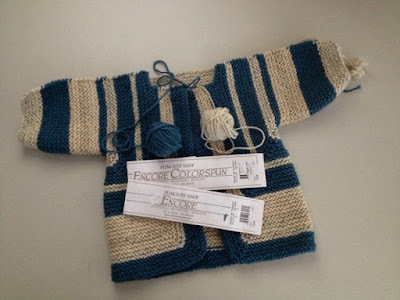 Several months ago, I found two coordinating skeins of Encore yarn in a Casper thrift shop for a total of $1.50. The original price stickers are still on the yarn labels: $6.50 for the turquoise, and $6.98 for the off-white colorspun, so I got quite a bargain. Last week, those two skeins became a Baby Surprise Jacket (BSJ). Hopefully, this week, I can seam the shoulders and then add a collar (directions below) with the remaining yarn. Baby Surprise Jacket pattern from Schoolhouse Press (I recommend the A-B-C-SJ, Adult, Baby, Child Surprise Jacket Pattern because it includes the a row by row pattern for the baby sweater). Using this pattern makes knitting the BSJ easy and enjoyable. The original pattern (the directions are NOT row by row) is a bit confusing, in my opinion. Collar details: after seaming the shoulders, pick up 18 stitches along each front neck edge and 20 stitches along the back of the neck. To prevent the collar from overlapping the buttons in the front, begin and/or stop picking up stitches at least four stitches from the front cast off edges. Knit 22 rows (11 ridges) and cast off in purl on the right side. Christmas Dinner at the "Kids' Table"
Brenda M., Terry S., Dwight M., and Brenda K.
We celebrated a LOT of family Christmas' on the farm, and often the "Kids' Table" was set up in the living room when there were more guests than the kitchen table could handle comfortably. Lots to see in this photo - TV tray for extra helpings, graduation and wedding photos on the wall above the stereo, pole lamp, a ceramic Christmas tree, a rabbit ears' antenna complete with a chunk of aluminum foil for "better" reception (we only got one station even with a large antenna), and a small glimpse of the Christmas tree with Harold's stocking tucked under it. Terry and Brenda K. were married in 1984, so it's possible they were married when this photo was taken, but I think it was probably before taken earlier than 1984. Brenda M., Terry and Dwight are my niece and nephews. 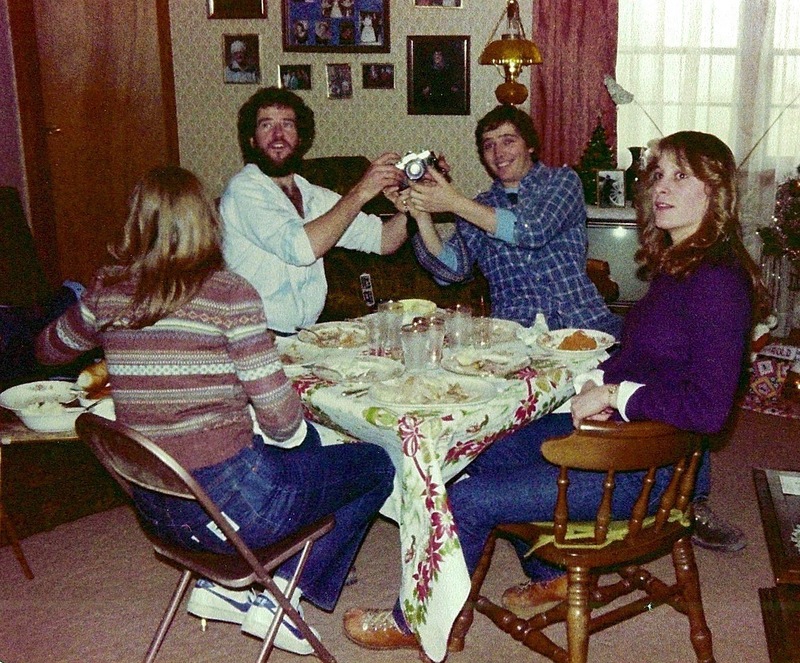 If you have an overflow or "kids' table" at your house today, snap a photo to capture those memories. One of the gifts that I remember giving to my brother Rich at Christmas was a bottle of Old Spice aftershave. Even though he had other brands - Aqua Velva, Brut, and English Leather, the one he used the most was Old Spice. 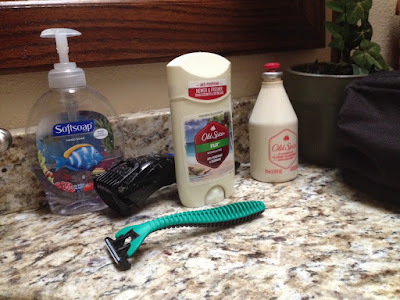 Several family members gathered at my sister's house in June, and one morning I spied my nephew's toiletries on the counter of the guest bathroom. Sitting there was the familiar bottle of Old Spice, and I admit that I popped off the top and took a big whiff. What scents bring back memories for you? Open Windows is Quilt of Valor #82, which means I have completed 32 Quilts of Valor in 2015 - far more than I ever imagined were possible. 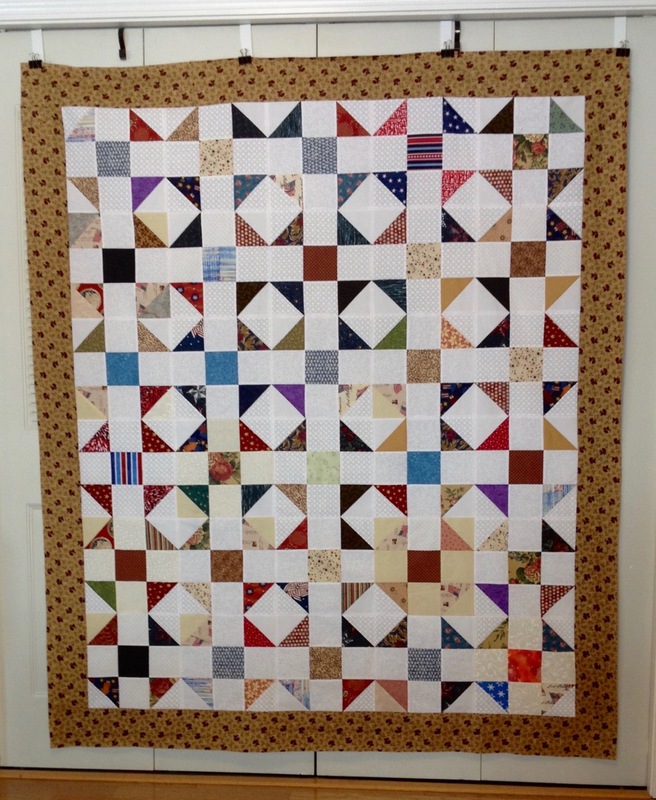 The Shoo Fly blocks, featured on Monday's post, were used to create this top. 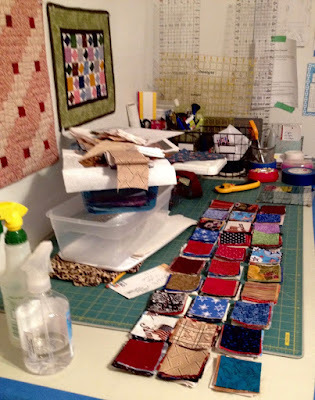 The last ten quilts have been made almost exclusively from the scrap bins. Yardage is only cut for background (white or off-white) and borders - sometimes the borders are remnants of previous quilt backs. Thankfully, I've found a lady in Lander who welcomes smaller strings (2" or smaller) of scraps, so those scraps are given to her. Very little fabric is wasted which is a very good thing. 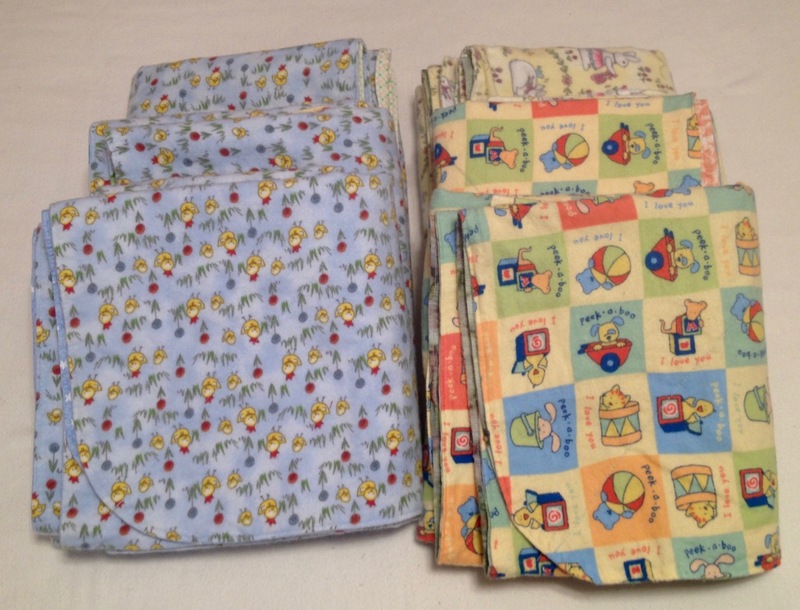 Cotton, quilting fabric pricing is all over the board: in some shops, the fabric is nearly $12 -14 a yard. Many shops also have clearance areas where fabric is 30 - 40% off, but selection is very limited; thus, it pays to use every possible bit of fabric. 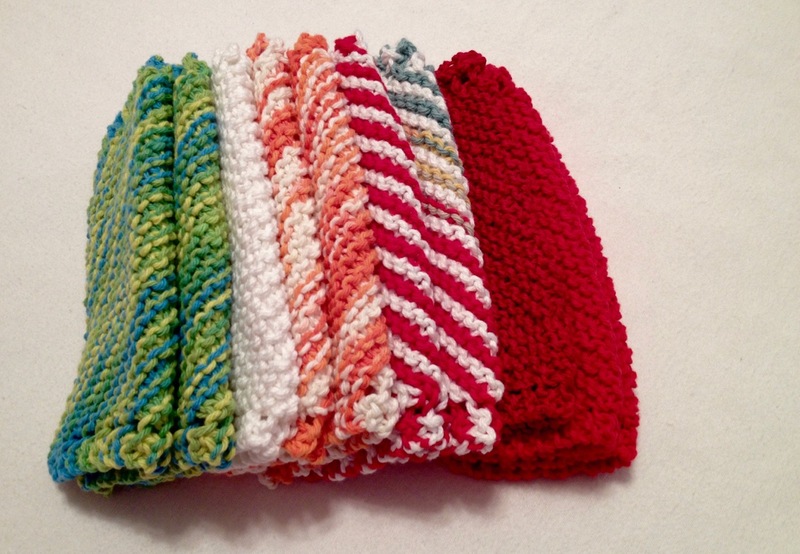 This time of year, I like to knit simple dishcloths as neighbor gifts. 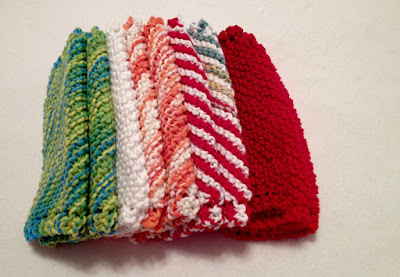 This stack of colorful cloths were fun to knit. The pattern is an oldie and is commonly referred to as Grandma's Dishcloth. Row 2: Knit 2, yarn over, knit across the row. Repeat Row 2 until you have 40 stitches on the needle. Repeat Row 3 until you have 4 stitches on the needle. Either bind off or do a round of single crochet and make a little loop of chain stitches in one corner. 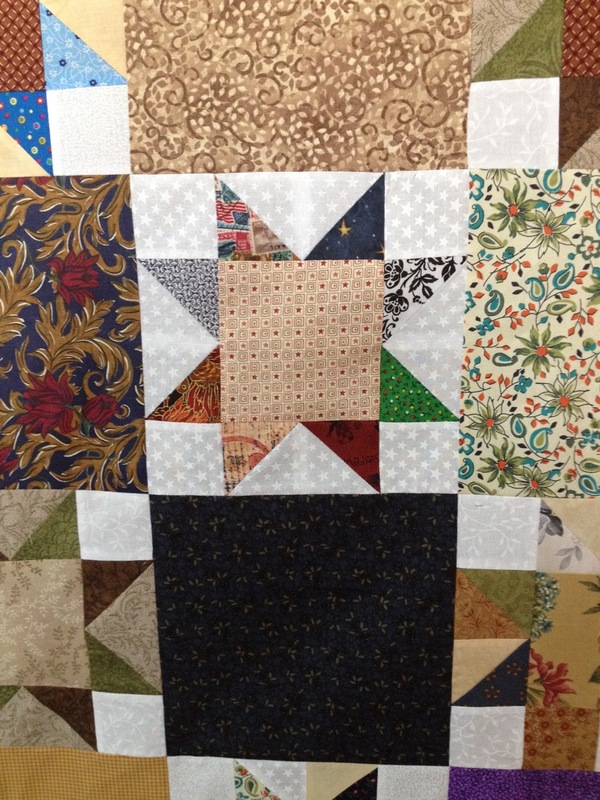 Quilt of Valor # 78 - Roundabout resulted in a considerable number of large "waste" half-square triangles (HSTs). 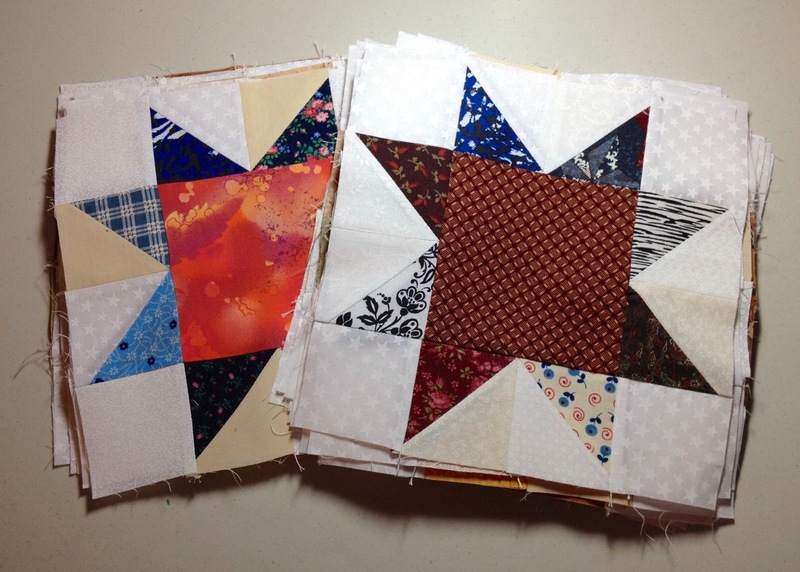 Since I recently made a lot of star blocks from the smaller HSTs from Whirligig, I made some Shoo Fly blocks to shake things up a bit. I only needed to cut the white solid squares, as the center squares were already cut and in the 4-inch scrap bin. 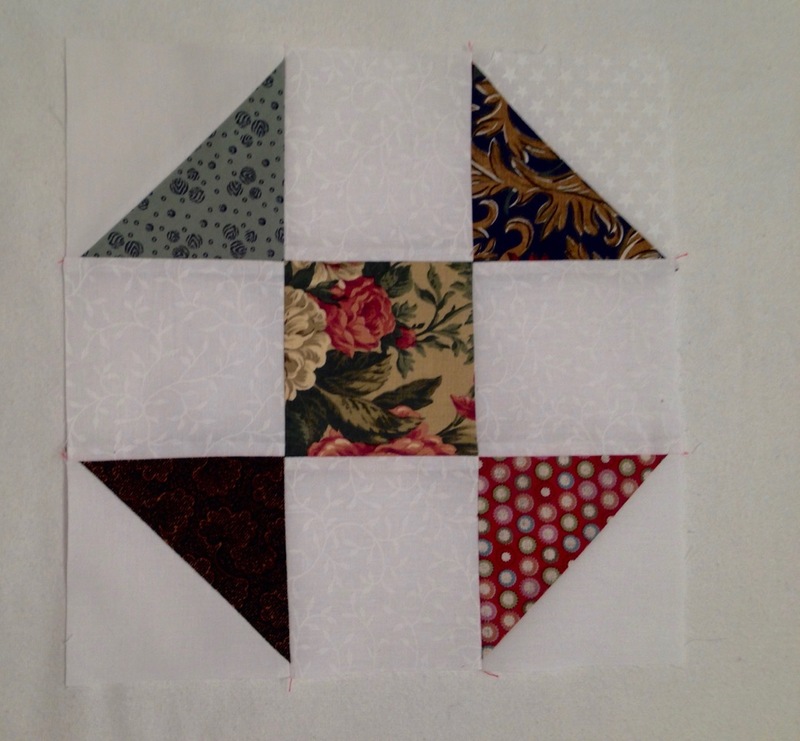 Once sewed together into the quilt top, the blocks will measure or finish at 10.5 inches. 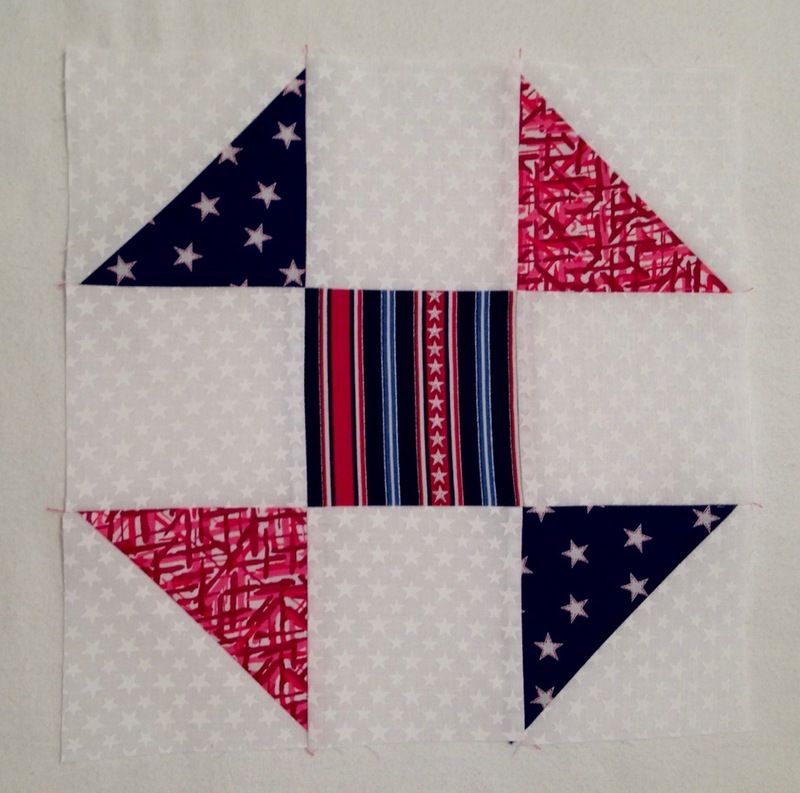 Thirty Shoo Fly blocks were made from the HST scraps - enough for another Quilt of Valor. 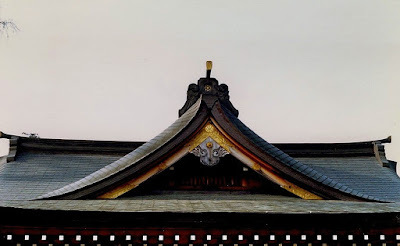 Japanese architecture has such interesting details - right up to the roof tops. 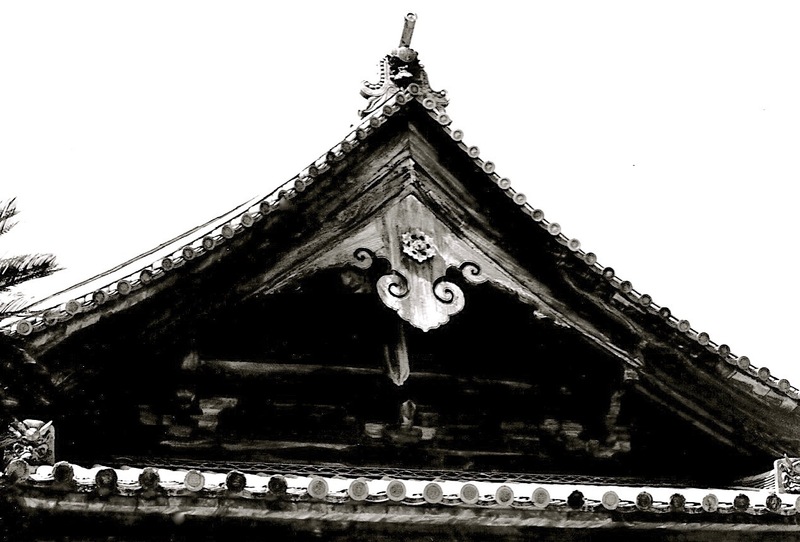 Most appeared to be hand-carved. I'm focusing on using scraps before cutting into any "new" fabric The process is messy and time-consuming since the fabric has to be cut and trimmed. These stacks of scraps are destined to become granny squares. 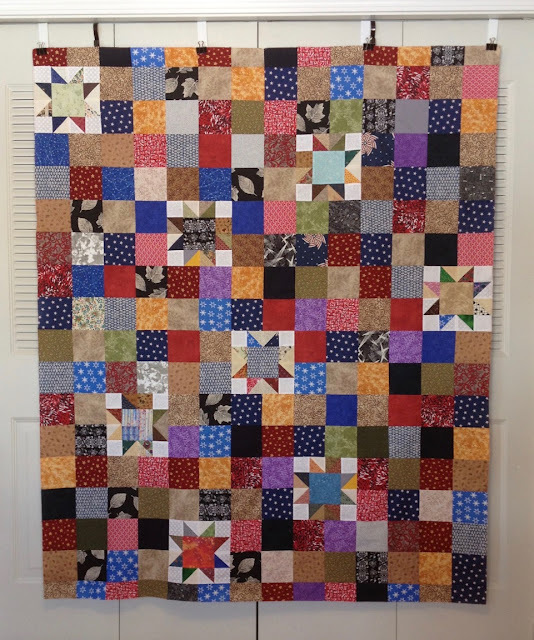 Orphan, scrap star blocks, remaining from Simply Stars, were paired with squares from the 4.5 inch square bin to create Calico Stars II (Quilt of Valor #81). 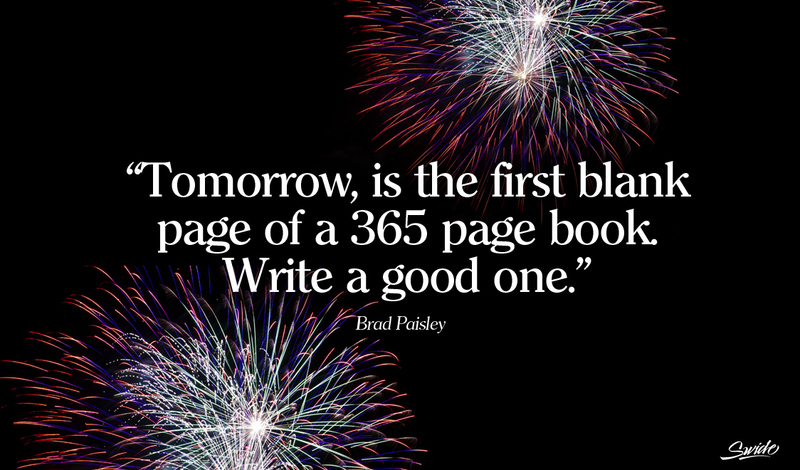 Due to my recent efforts, the scrap bins are becoming less crowded, and with additional scrap busting, I may find the bottom of some of the bins before 2016. Simply Stars (Quilt of Valor #80) was created with the scrap stars made with "waste" half-square triangles, and 10 inch squares of fabric. 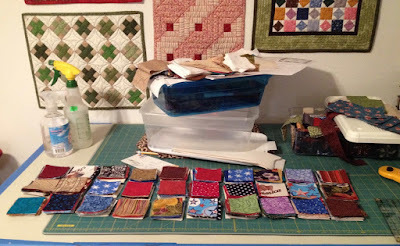 The border is fabric that I purchased at Kansas Troubles Shop in August. 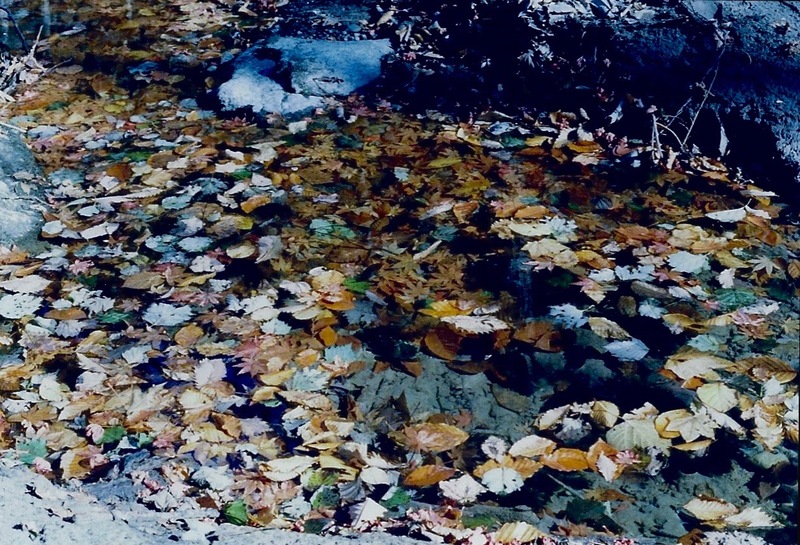 Fed by melting, mountain snow, the creeks and lakes in this region were crystal clear. 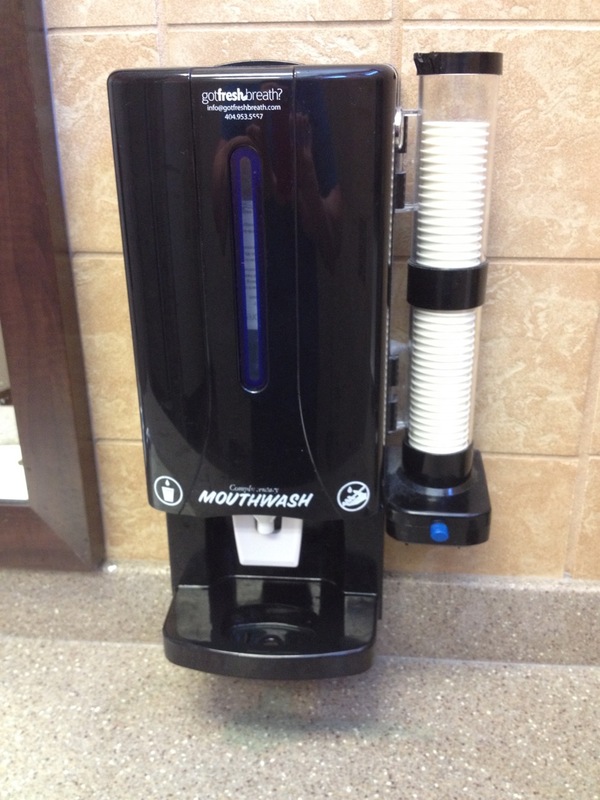 I was surprised to find this dispenser in the women's bathroom in the Manhattan, Kansas Chick-fil-A restaurant. Have you seen dispensers like this in your area? 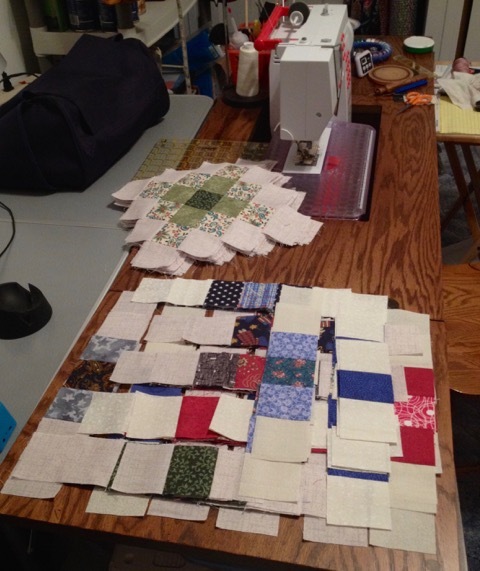 After making Whirligig, I had a large stack of "waste" HSTs (half-square triangles). 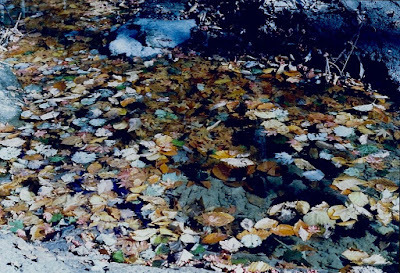 The technique is explained in this PDF by Bonnie Hunter. 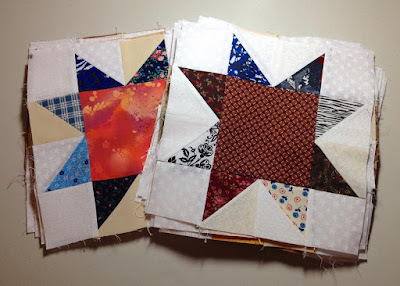 I sized the HSTs to 2.5 inches, selected some squares from the 4.5 inch scrap bin and made some star blocks to be used for another Quilt of Valor. 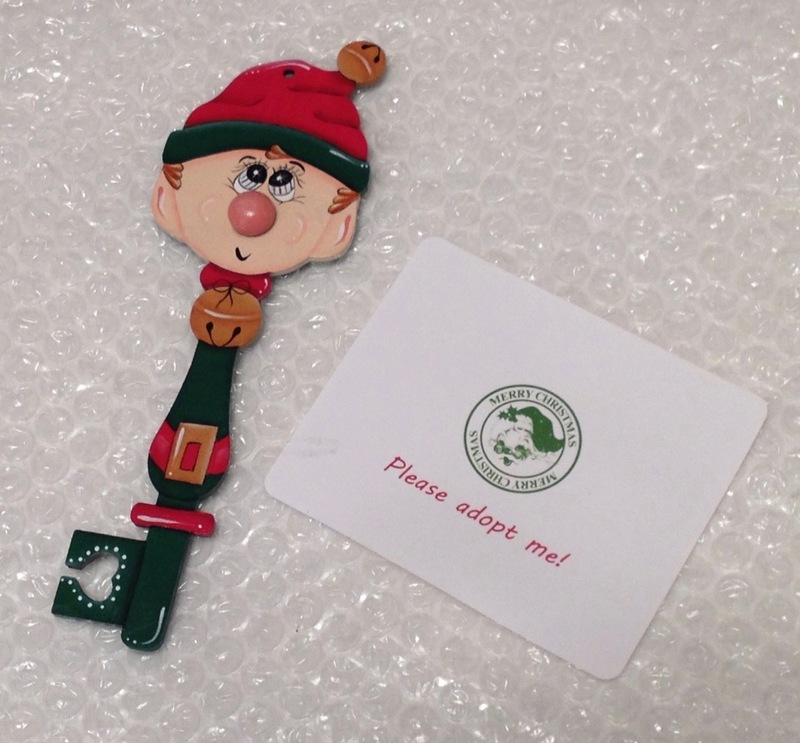 This cute little guy arrived in the mail on Saturday, a gift from my niece Brenda. 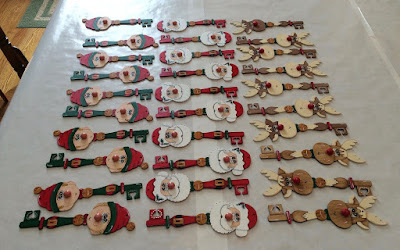 Brenda and Marilyn (my sister) have hosted a Cookie Exchange every December for 25 years, and every year, they create unique holiday items for each of their 25+ guests. 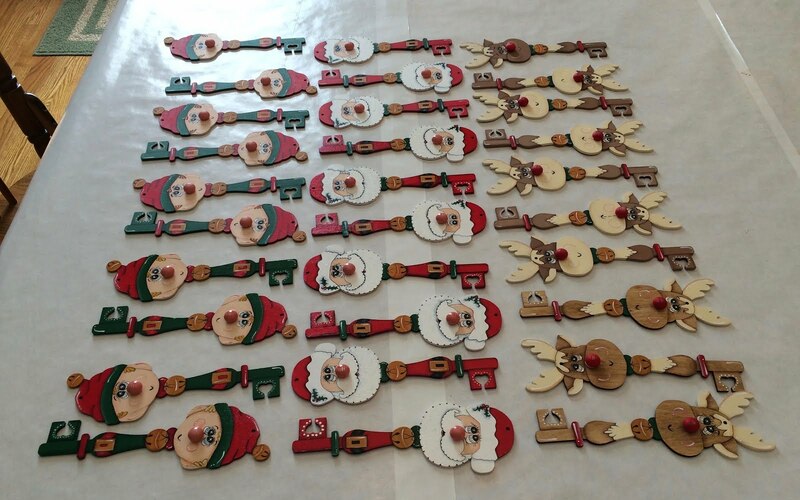 Brenda's 2015 collection for the Cookie Exchange included elves, Santas, and reindeer. 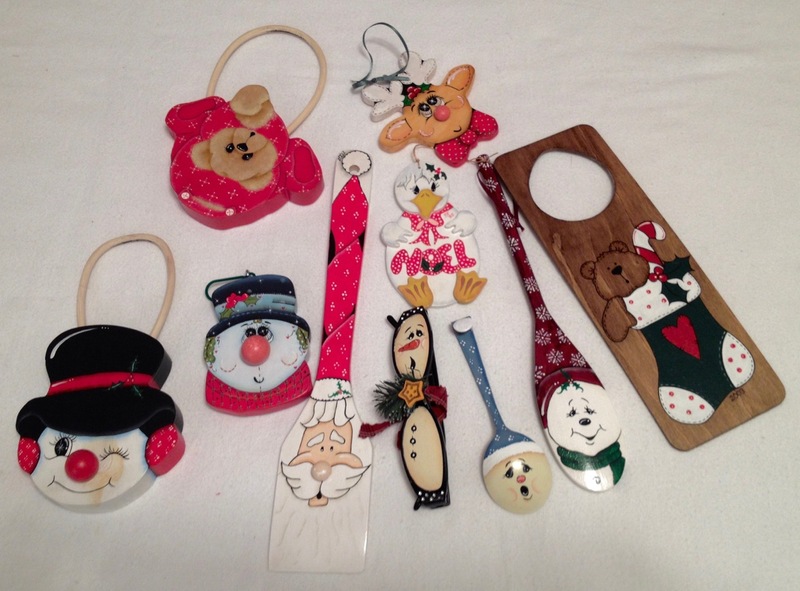 These are just a few of the ornaments and decorations that Brenda has painted over the years. I think she has an amazing talent. 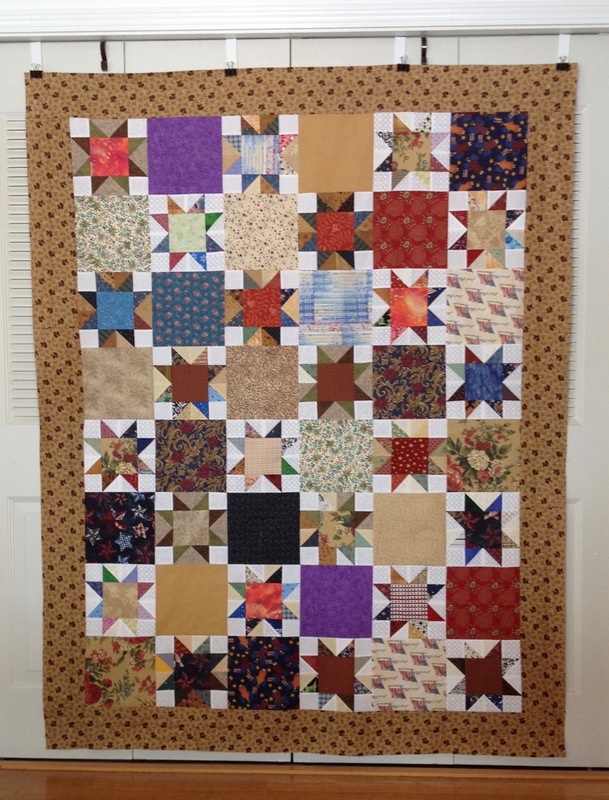 Gemstones was made from scraps from many other Quilts of Valor. 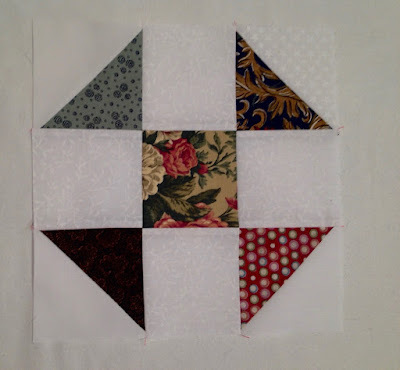 I am thrilled that Lori (Dakota City Quilter) told me about this quilt block. 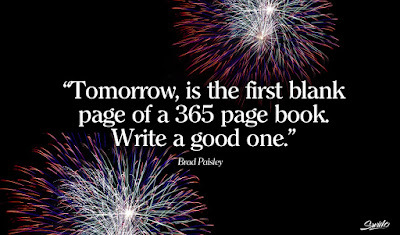 It is a great way to use a variety of scraps. 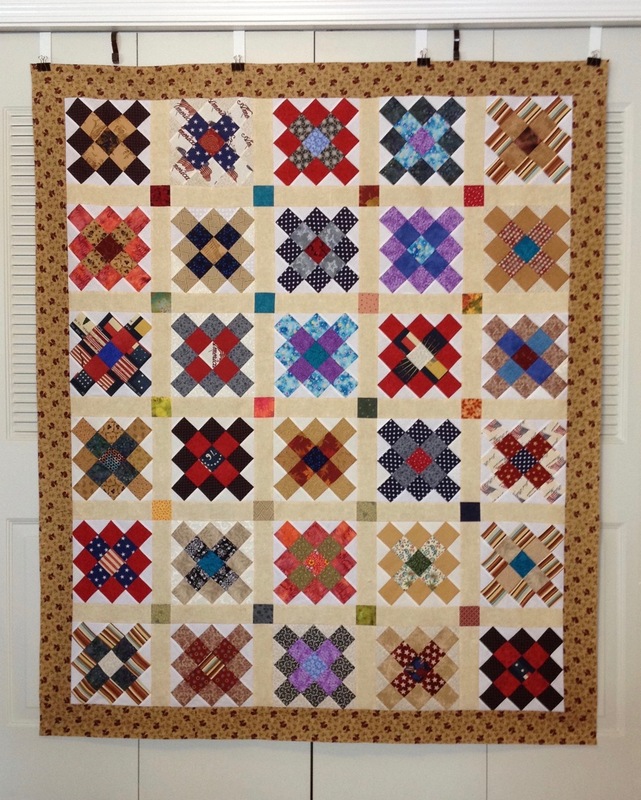 Gemstones is Quilt of Valor # 79. A list of the quilts can be seen here. 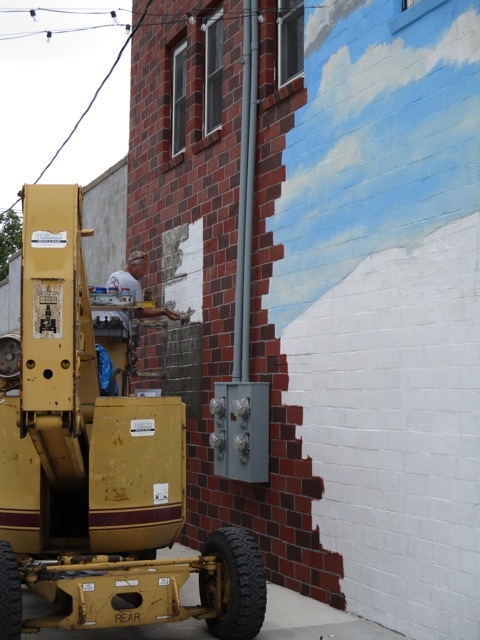 It was fascinating to see this man working on a new mural for the Missouri Star Quilt Company. The building was next to a small coffee shop where we popped in to purchase a cold drink. We went further down the street, and when we turned around to go back to the car, we could see the progress that he had made. 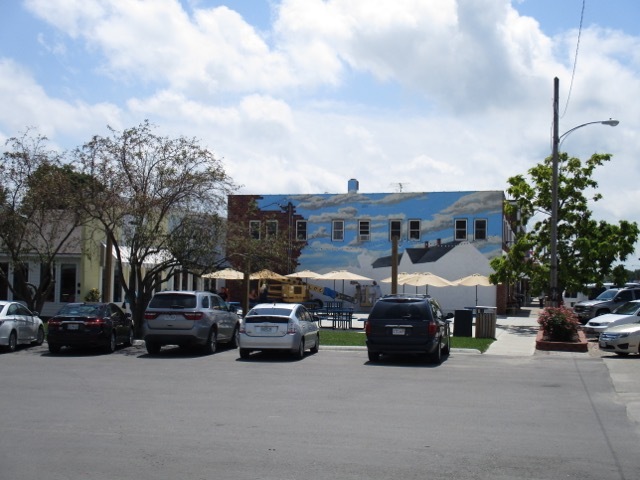 How I would love to see the finished mural that appears to be a large farm house, probably with quilts on the porch. 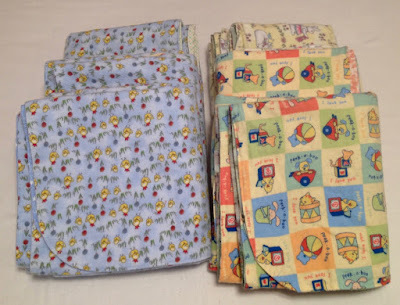 Over the holiday weekend, another batch of flannel, receiving blankets and burp cloths was made for a local charity. This will likely be the last set of blankets I'll be making for a while, as it's time to get back to working with my quilting cotton scraps and make some Quilts of Valor. Earlier blankets can be seen here and here.